Detroit Metropolitan Wayne County Airport (IATA: DTW, ICAO: KDTW) is the primary international airport located in Romulus, Michigan, Detroit suburb. The airport is regarded not only as the busiest airport of Michigan but also as one of the largest airline hubs within the United States. The Detroit Metropolitan Airport was considered the 18th busiest airport both in 2013 and 2016. 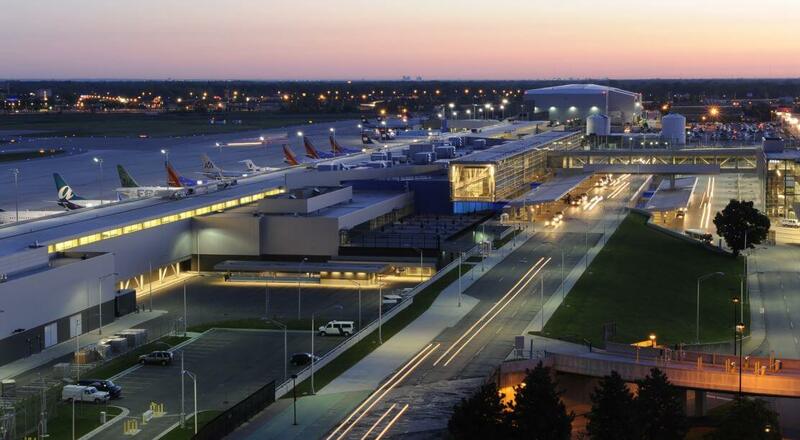 Metro Airport serves the areas of Metropolitan Detroit, Ohio, Toledo, Ontario, and Southwestern Ontario in Canada. The airport provides flights to over 140 destinations. There are both concrete and asphalt runways located on the territory of the airport: 4R/22L that is 3.659 meters long, 4L/22R that is 3.048 meters long, 3R/21L that is 3.048 meters long, 3L/21R that is 2.591 meters long, 9L/27R that is 2.654 meters long, 9R/27L that is 2.591 meters long. The airport's terminal building covers the area of 1.960 hectares and is located 197 meters above sea level. As it was mentioned above, the airport is one of the largest hubs of the airlines that operate on the territory of the United States. For instance, Detroit Metro Airport is the second-largest hub of Delta Air Lines regarding total operations provided through the airport. That is also the main Midwestern hubs of SkyTeam airline. DWT is the fourth-largest hub of Spirit Airlines that acts as the connection point between the Eastern and Western United States. For 2017, the number of total passengers carried through the airport has reached 34.701.497 people. There were about 395.357 aircraft operations operated by Detroit Metro Airport. According to the newly published project, the airport plans to expand the existing terminals, construction of additional security checkpoint, resurface the existing runways, RTA bus services implementation that will connect all of the terminals with the railway station located north of the airport.